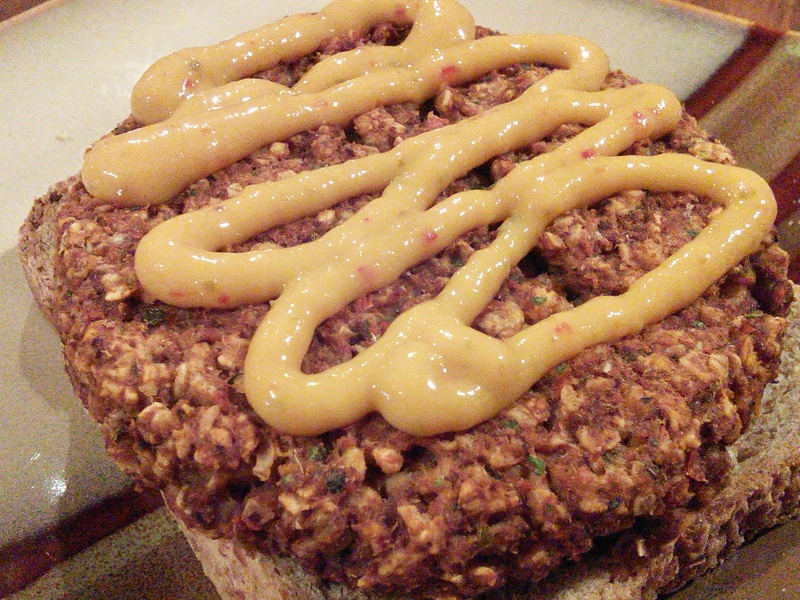 I’ve been trying out a few different recipes for veggie burgers. Most of them come out way too squishy and don’t hold up properly. 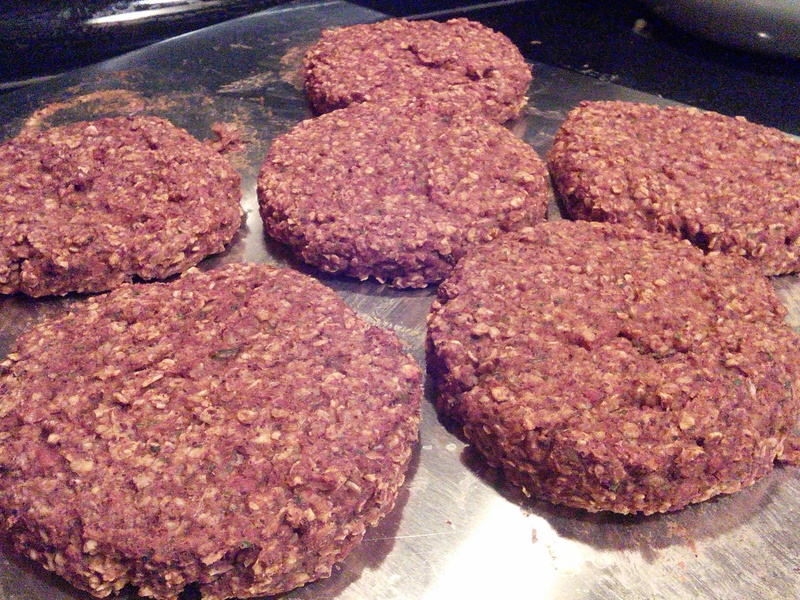 The “New York Times Veggie Burgers” recipe from The Engine 2 Diet is the first, and (so far) only, bean burger I’ve found that holds a firm patty shape. The oats are key in holding the burger together. You can make this gluten-free by using gluten-free oats! Though I’ve only ever cooked these in the oven, you could also sauté the burgers on medium heat in a skillet for about 5 minutes on each side. Preheat oven to 450° and process all ingredients except the oats. Please don’t process the buns. That would be silly. Dump processed ingredients into a bowl and stir in the oats. Mix mix mix! 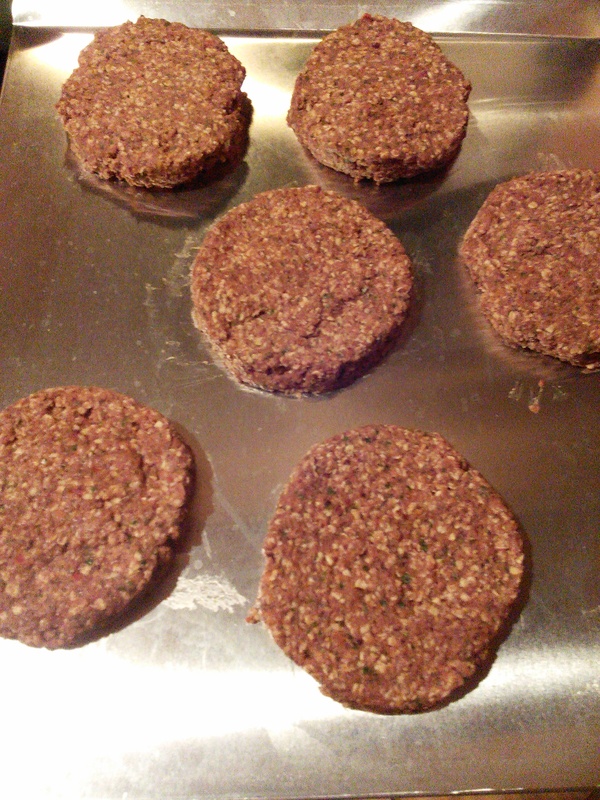 Form into patties, slap them on a baking sheet, then bake for 8 minutes. After the initial 8 minutes, turn the oven up to broil and cook for an additional 2 minutes. The tops should come out nicely browned. Let them cool and set for at least a few minutes. When you scrape them off the sheet they may leave behind a little residue. That’s it! Serve over a whole wheat oil-free bun (good luck finding one, I haven’t yet), or use slices of low-sodium Ezekiel bread.